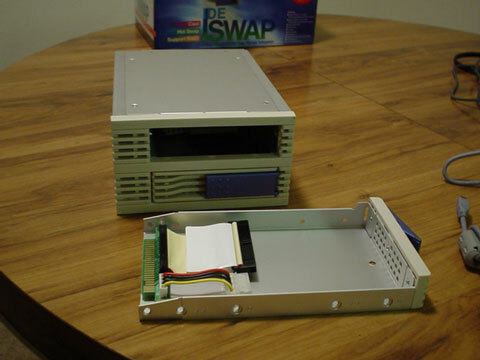 Enhance Technology has provided us with another interesting product for us to take a look at, the ISWAP. 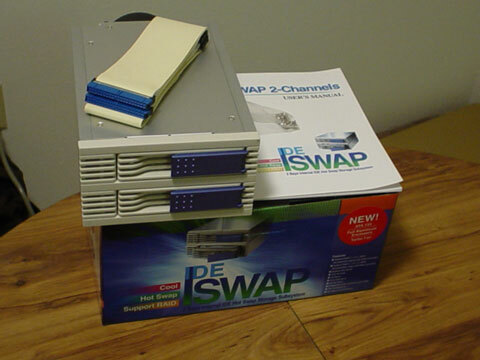 ISWAP is a 2-channel IDE Back plane for SOHO environments (Small Office Home Office) and is designed to provide maximum flexibility for small growing companies. The ISWAP comes in a nice package with all of the items in the picture below. Let's take a closer look at the ISWAP2. 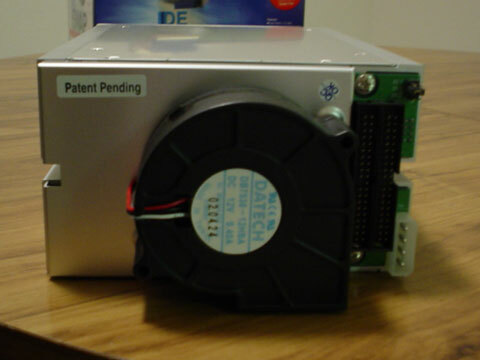 After removing one of the carriers, we see that it has the standard IDE short cable and power from a Molex connector. At first look, the carrier being made out of aluminum, looks and feels thin and flimsy. 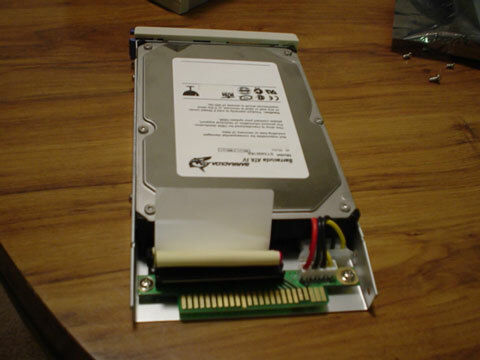 However after adding one of my 40Gig 7200RPM Seagate drives, the additional mass provides for a more sturdy base. 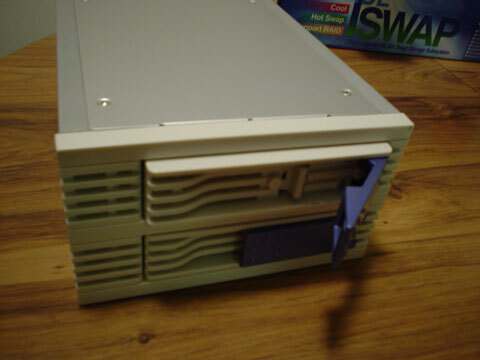 Now that we have examined the HD sled, lets check out the ISWAP housing. The housing weighs approximately 1.8kg without drives. And the overall dimensions are 240mm Depth, 148mm width, and 85mm height (2 5.25 drive bays). The back of the housing has a 70mm x 25mm fan on the back. 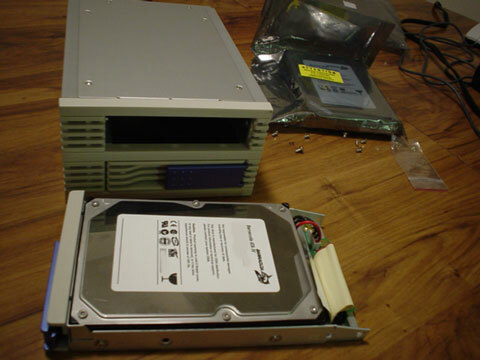 What makes the fan unique is that it is a squirrel fan and is set to blow down into the bottom of the case. The sensor selection jumper is on the upper right on the back of the ISWAP, which allows you to choose from 3 different temperatures: 45 C, 55C (Default), and 65C. When the sensor detects a hard drive failure or over heat it will trigger an alarm and a LED to let you know something is wrong. Now lets take a look at the installation process.